While this gourmet burger restaurant was being constructed in center city Philadelphia, the owners were looking for an unusual way to enliven their city street and make something interesting from what would otherwise be a blank construction wall. 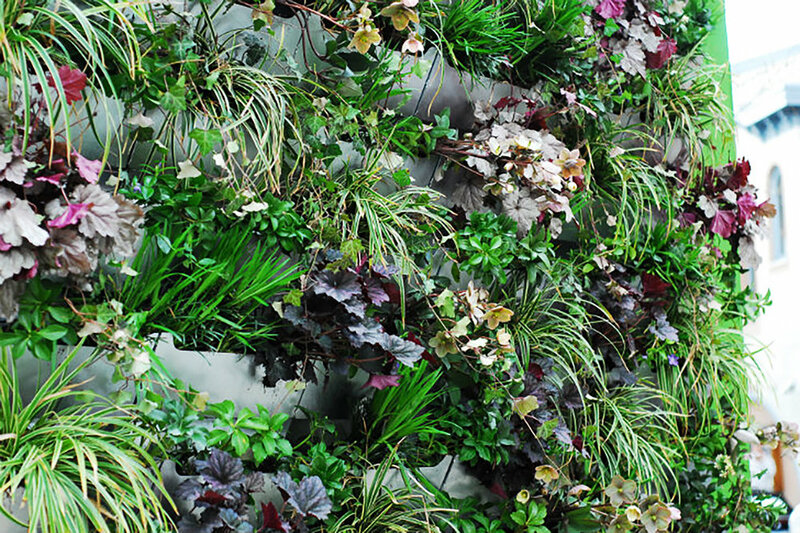 Colleagues at Shift Space Design developed the metal planter concept and configuration, while we brought that wall to life through the planting design and installation. 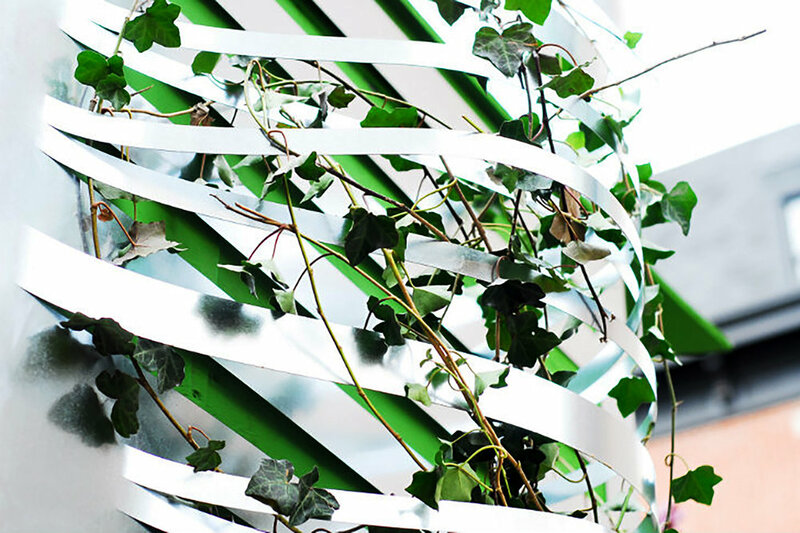 We found that this unexpected wall of green in the city radically changed the way that pedestrians interacted with the streetscape environment, both during installation and throughout its run.